These wines sat in my cellar for months. I saw them every week when I was planning and studying, but they sat there. I did not have any notion about the wine or any desire to pull it down and try it. I had two bottles a Merlot and a Cabernet. I had been asked to try them and give my opinion. Well slap me down. What had I been thinking. These wines were gorgeous. A result of detailed wine making showing forth the passion apparent here. 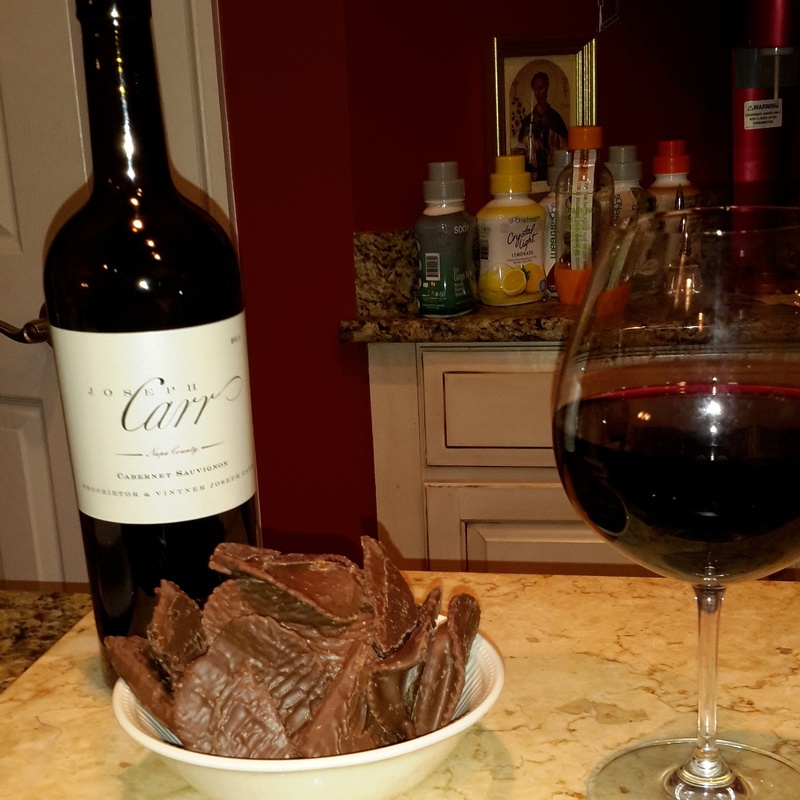 Joseph Carr is the founder and vintner. Aaron Pott the winemaker. 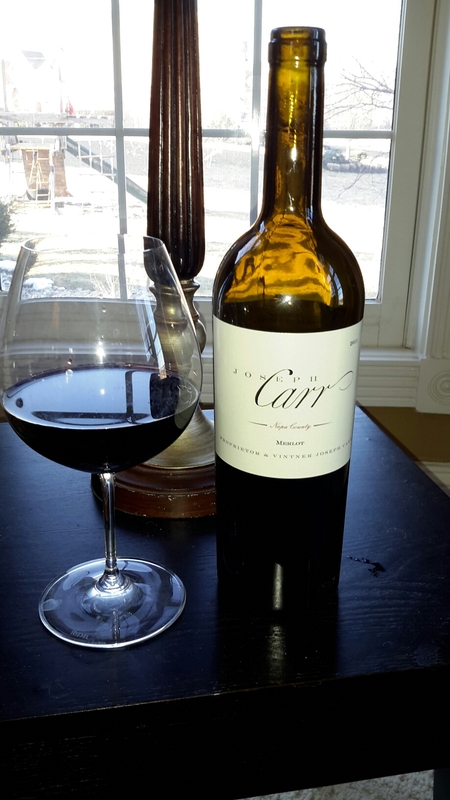 Carr has had a long history in various positions in the industry culminating in the Joseph Carr winery. Pott, a former winemaker of the year, puts all of his knowledge and experience into this venture. The Napa Cabernet a 2011, not the most noted year, but in this case ooh la la. Taking out the cork was delightful. The bounty that plumed forward was extraordinary. Deep cherry, violet, rose. Wow. My mouth was watering even before the dark rich liquid touched my tongue. Every centimeter of my mouth was quivering with delight as the flavors bombarded my senses. Again the rich ripe fruits, hints of spice, wood and smoke. Soft elegant tannins that tantalize and stroke the desire for more. A few nights later I indulged myself with the Merlot. Needless to say I was not disappointed. Now I must also admit that I am a big merlot fan and this one made me want to grab some pom poms and do a cheer. A bouquet of complex aromas, berries and floral scents astound the nose. The velvet touch that coated my mouth was comforting, like sitting in the most comfortable chair and relaxing. A peace and calm overtook me and all I could think was how good and enjoyable this is. So much flavor, fruit forward and rich. Soft smooth and silky finish. Just a pleasure.